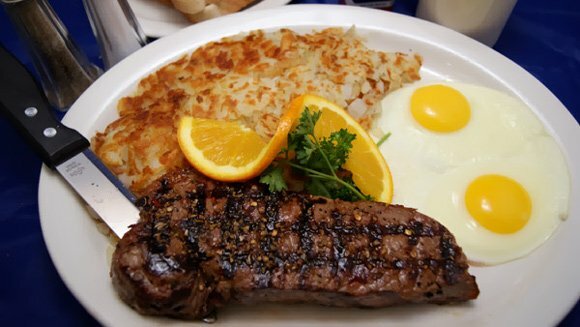 New York Steak and Eggs…Go On Treat Yourself! All egg dishes are served with two eggs, and a choice of either two buttermilk pancakes, or two slices of toast. Extra egg add $.50. Add hash browns or John’s Potatoes for $.99. Egg Beaters substitution, add $.35 per egg.